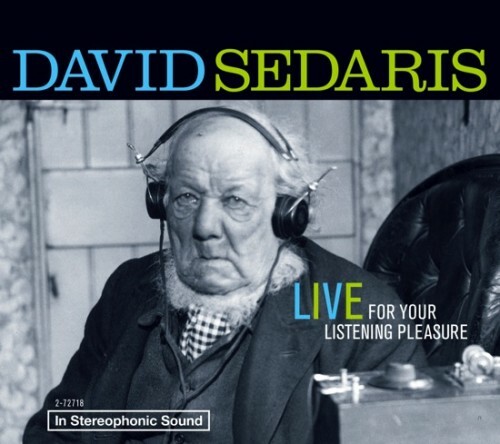 A new Sedaris audio-only title will be released Nov. 24, called Live for Your Listening Pleasure. It consists of highlights from his latest tour; events in Denver, NYC, Durham, L.A. and Atlanta. Similar to his 2002 Live At Carnegie Hall audio, this is a standalone and will not be published as a book. I had the opportunity to attend one of his events last year and it was fantastic. His stories are hilarious by themselves, but his delivery will just make you laugh out loud. If you’ve heard him on NPR or on one of his audiobooks, you know what I’m talking about. You can also listen to an exclusive clip over at Entertainment Weekly.